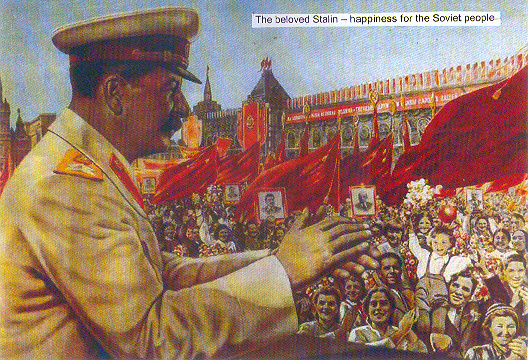 Selected Writings: Stalin's resignation attempts - of being a dictator!! Stalin's resignation attempts - of being a dictator!! J. V. Stalin was People’s Commissar of Nationalities from the time the People’s Commissariat of Nationalities was set up on October 26 (November 8), 1917 to its dissolution in July 1923. On Lenin’s motion, the Plenum of the Central Committee, on April 3, 1922, Joseph Stalin was elected as the General Secretary of the Central Committee of the CPSU at the 11th Congress of the Party. The Thirteenth Congress of the R.C.P.(B. 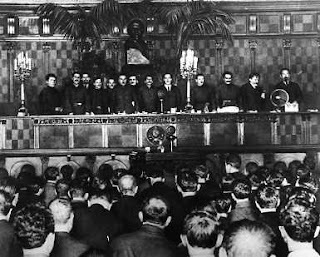 )—the first congress of the Bolshevik Party held after the death of V. I. Lenin— took place on May 23-31, 1924. The congress proceedings were directed by J. V. Stalin. There were present 748 delegates with right of voice and vote, representing 735,881 Party members. Of these, 241,591 had joined during the Lenin Enrollment and 127,741 were candidate members who had joined before the Lenin Enrollment. There were also present 416 delegates with right of voice only. The congress unanimously condemned the platform of the Trotskyite opposition, defining it as a petty-bourgeois deviation from Marxism, as a revision of Leninism, and it endorsed the resolutions on “Party Affairs” and “Results of the Discussion and the Petty-Bourgeois Deviation in the Party” adopted by the Thirteenth Party Conference. ""It is said that in that “will” Comrade Lenin suggested to the congress that in view of Stalin’s “rudeness” it should consider the question of putting another comrade in Stalin’s place as General Secretary. That is quite true. Yes, comrades, I am rude to those who grossly and perfidiously wreck and split the Party. I have never concealed this and do not conceal it now. Perhaps some mildness is needed in the treatment of splitters, but I am a bad hand at that. At the very first meeting of the plenum of the Central Committee after the Thirteenth Congress I asked the plenum of the Central Committee to release me from my duties as General Secretary. The congress itself discussed this question. It was discussed by each delegation separately, and all the delegations unanimously, including Trotsky, Kamenev and Zinoviev, obliged Stalin to remain at his post. What could I do? Desert my post? That is not in my nature; I have never deserted any post, and I have no right to do so, for that would be desertion. As I have already said before, I am not a free agent, and when the Party imposes an obligation upon me, I must obey. On 27 December 1926, he wrote to Sovnarkom Chairman Alexei Rykov saying: ‘I ask you to release me from the post of Central Committee General Secretary. I affirm that I can no longer work at this post, that I’m in no condition to work any longer at this post.’ He made a similar attempt at resignation on 19 December 1927. All three of these previous attempts were rejected. The last attempt to resign was in 1952, about five months before Stalin’s death, during a meeting of the Central Committee where he urged the Central Committee to relieve him of his duties. This too was rejected. In a speech given by him to the Central Committee that mainly criticized Molotov for some of his decisions, he was interrupted near the end of the speech by someone from the floor. VOICE FROM THE FLOOR – We need to elect comrade Stalin as the General Secretary of the CC CPSU and Chairman of the Council of Ministers of the USSR. STALIN – No! I am asking that you relieve me of the two posts! MALENKOV – coming to the tribune: Comrades! We should all unanimously ask comrade Stalin, our leader and our teacher, to be again the General Secretary of the CC CPSU. Between the first time he was elected , until his death, Stalin asked to be relieved of his duties as General Secretary a total of four times — all of which were rejected. Is there any dictator in the history who wanted to resign from his duty, not once, four times? Bourgeois lies and deceptions have worked for long time, but , for the next generation, it won't work as effectively. To defend Stalin is to defend Socialism. There is no third ideology, either Marxism Leninism with the fierce fight against revisionism, or the bourgeois ideology of any kind. We should thank the Socialist Meme on Facebook bringing up this question and outlining- great service.